November is a glorious month! Its when the strapping men grow the hair on their upper lip and mustaches can be seen throughout all the streets. All to raise vital funds and awareness for men’s health, specifically prostate cancer and depression in men. 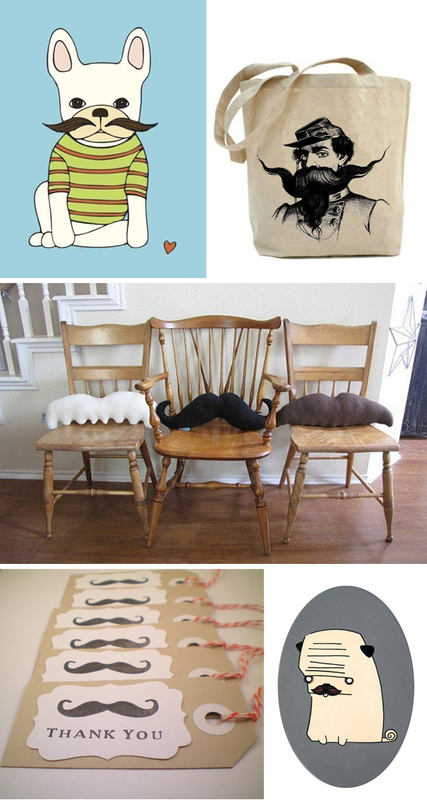 Here are some great mustache finds on Etsy. HI there! Thanks for the shout out on the mustachioed Thank you cards!! !